It's no more news that Apple is already planning on unveiling it's latest flagship which is the iPhone 8. While lots of rumours and speculations are already making rounds on the internet, a clone version of the iPhone 8 has already been released. The iPhone 8 is expected to be announced on the 12th of September. 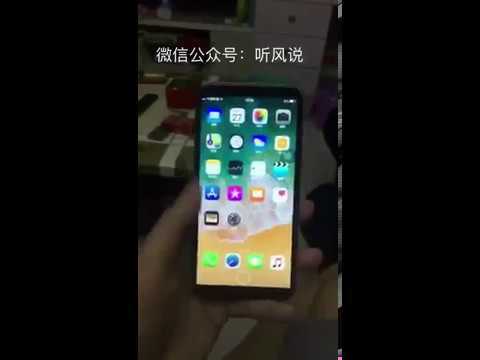 But for those who can't wait, the Chinese has already made a clone of iPhone 8 and it's making rounds on the internet. The clone is the mix of design and software that looks very close to what Apple is predicted to take the wraps off in few weeks. The clone version of the iPhone 8 also feature a glass back and a vertical dual rear camera which is expected to make its way to the iPhone 8. But instead of the latest iOS 11, the clone runs on Android Operating System. Although this is going to be cheaper but don't expect the same build quality, hardware, performance or features like Apple’s iPhone 8 that will be released soon, and If you have even bought a clone China phone before then you should know this already. For those who are really interested in the real iPhone 8 then the wait is almost over as the phone will be unveiled in 2 weeks time.